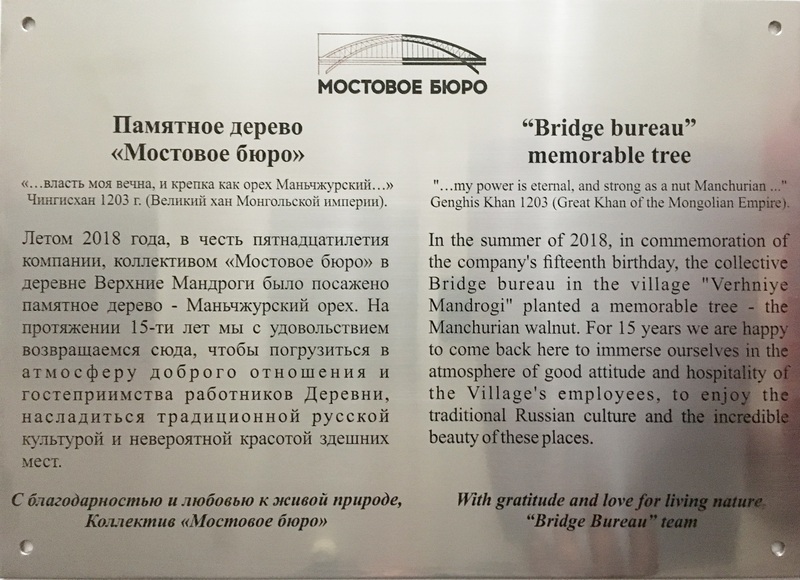 October 7, 2018 LLC "Bridge Bureau", headed by Deputy General Director Ashurov O.N. planted a Manchurian nut in the village of Verkhnye Mandrogi. Also, a memorable tablet was installed next to the tree.